I remember being so excited after having my first baby that I could finally wear normal clothes again. My first Sunday back at church, I found myself in the mothers’ room to nurse. It was then that I realized the dress I had worn, which zipped up the back, was not functional for nursing. I had to take the darn thing off all the way down to my waist in order to nurse. I sat there, half-dressed, hoping no other moms would walk in. That’s when I learned the hard truth–you need one wardrobe for pregnancy, and another one for nursing. However, there are some awesome pieces that can accommodate both wardrobes. 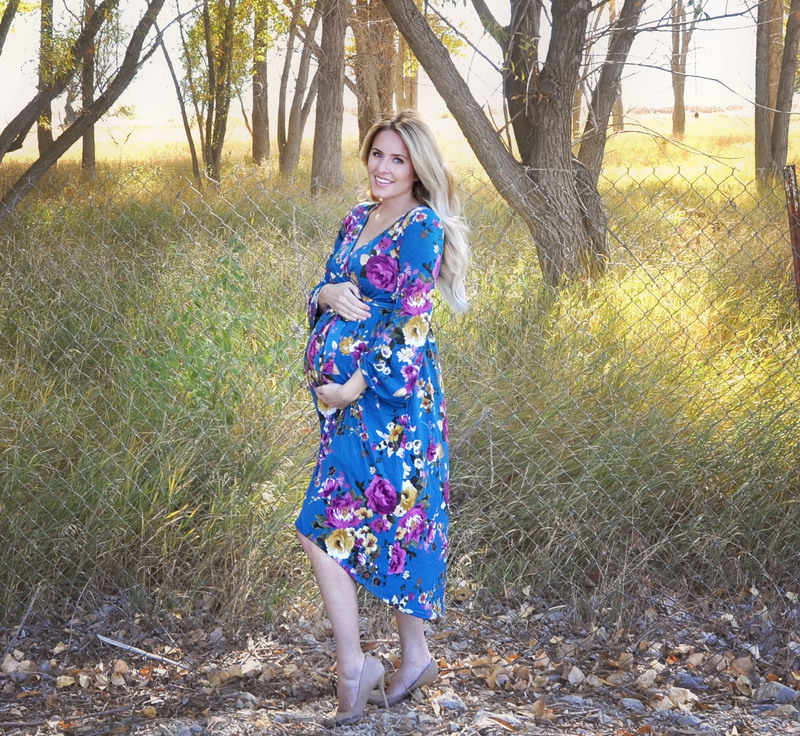 Like these floral maternity dresses from Pink Blush–they look great big or small bellied, and the crossover neckline makes nursing a breeze. 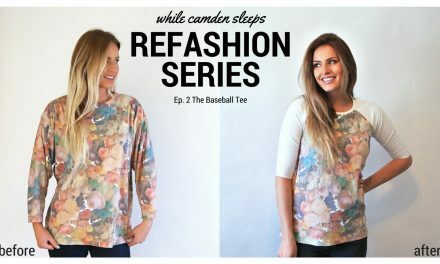 I recently joined their ambassador team, so you’ll continue seeing a lot of their pieces here. Both dresses are courtesy of Pink Blush. 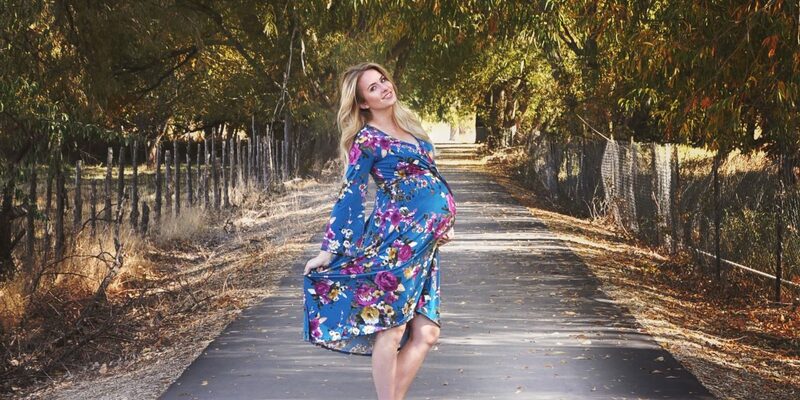 This hi-low maternity dress is extremely comfortable. It’s made of a floral knit fabric, and has bell sleeves. 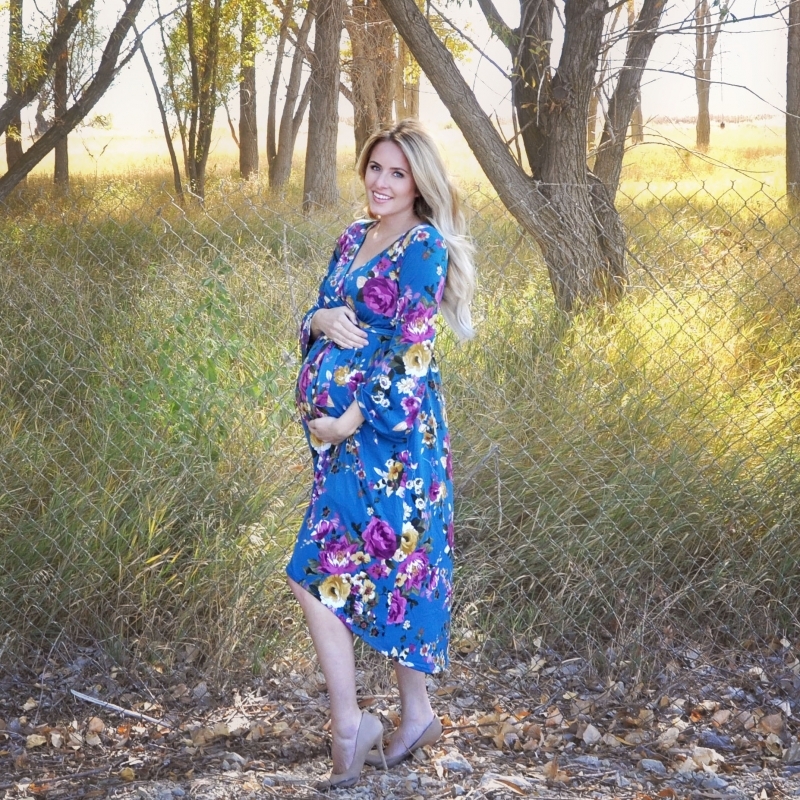 It’s a mock wrap dress, so you get the wrapped look without worrying about any wardrobe issues. It also comes in two colors. The second dress is velvet–which my kids love. It’s also a mock wrap dress and comes in two different colors as well. PreviousDo I look pregnant from the side?